Harvest House Publishers, 9780736962926, 400pp. Therese Jennings cannot abide the thought of owning slaves. When her widowed mother inherits a plantation, Therese flees to Civil War Richmond, where she works as a governess by day and tends to wounded soldiers at night. But when trouble befalls her family, can she reconcile her obligations with her beliefs? And will love--whether with an old beau or a handsome new suitor--ever fit in her broken world? Nicole Talbot's life is back on track after years of substance abuse. Home from college for the summer, she's finally ready to share a shocking secret, one that raises new questions about a traumatic childhood experience. 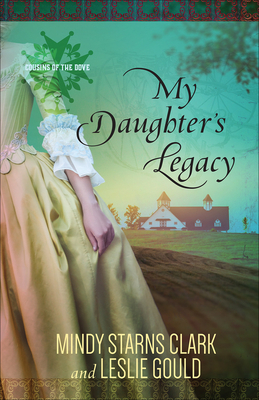 But when facts she uncovers cast doubt on her family's legacy, she must risk all that she's gained--her fresh start, her family's trust, and her growing relationship with a new man--to unlock the secrets of the past. From the Christy Award-winning team of Mindy Starns Clark and Leslie Gould comes a thrilling tale of two women longing to follow God's leading, make the most of second chances, and find true love at last.